Is Social Media the new SEO? How content is set to take over the race to the top! Before you optimise your web pages and spend money on Google Ads do a bit of research! Don’t be boring, stop the audience from snoring! How to distinguish a great presentation from an average one. Have you ever been to a presentation and tried to stop yourself falling asleep? Have you counted down the minutes until lunchtime/bathroom breaks/going home? I’m sure I’m not alone in saying that I certainly have! Training often conjures up images of dull meeting rooms with boring Powerpoints and unenthusiastic presenters, who speak at you rather than interacting with their audience with energy and vitality. And more than often this is the case. It certainly takes an extraordinary individual to have you walking away from a training session feeling inspired, excited and ready to make life changes. I’ll never forget one talk I went to from a major bank’s chief economist. As I helped myself to the canapés and poured myself a large glass of wine I prepared myself for an uneventful afternoon. However, as soon as the speaker got on his platform I couldn’t take my eyes off him! He sprung to life, bounding around, using simple, day-to-day examples to explain major economic theories. His voice was gruff and loud, he was extraordinarily unconventional. However, I walked away with more knowledge of economic principles than I learnt whilst studying 20th century economic history for three years when I was an undergraduate in London! Why is it some people just have that special something, that charisma? Creating this all important vibe is extremely important when it comes to conveying the power of social media. This is mainly because using social media networks for marketing only works if the person managing these networks REALLY gets the idea and is EXCITED about it! This is because social media is exactly what it says on the tin, ie “social.” There is no point in understanding how it functions without understanding the ultimate purpose. So, back to the original question – how do great speakers and trainers inspire their audiences? When delivering a presentation it’s key that speakers don’t just speak monotonously at their audience. Change of pace, tone and pitch is vital. Boring speakers remind everyone of their drabbest teacher at school who was usually very out of control of his/her pupils. This is because they couldn’t command attention or respect. And many adults don’t necessarily have that much longer an attention span than teenagers – let’s face it! Moving around the speaking area (obviously not too manically) is also important, as it conveys excitement and flow. It subconsciously indicates to the audience that the speaker is enthusiastic about what he/she is talking about and also that there is more interesting content to come. Standing in the same spot indicates a lack of momentum which gets the audience yawning. Great trainers are keen to speak to their audience, to get feedback. They want to know how the audience feels, what their concerns are. They will ask their audience to explain their problems, their experiences in whatever field they are focusing on. They will want to encourage their audience to ask questions, to get their money’s worth and walk away feeling satisfied. One clever way of getting the audience feeling as if they are part of the presentation rather than being lectured to by an uninspiring schoolmaster, is to research some of their businesses and find examples in this area. For example, a social media presentation we did recently had strong feedback partly because we found several examples of the audience’s competitors using social media networks and showed how they were doing it. Admittedly it was a small group, but it helped them see how social media could benefit their businesses. Ever heard someone say about someone: “He/she just had something…that…I can’t put my finger on it…a certain ‘Je ne sais quoi.’” Or perhaps you yourself have met one of these individuals. A warmth, charisma, leadership ability which makes someone stand out in the crowd is not necessarily easy to cultivate overnight, but motivators and trainers who are worth keeping will have it in droves! Why Google Plus Business Edition won’t have an impact on your social media performance! I wrote a blog a few days ago and my prediction was that the only way for Google to make businesses come to Google+ Business, would be to make that page relevant for search engines. I would like to add a couple of other points to this – as I believe originality is key when it comes to launching new social media tools. It has been almost two weeks since Google+ announced the launch of their business pages and there are already hundreds if not thousands of articles posted on the Internet, including how-to-guides, lists of the benefits of having a Google+ page, how it will dominate the social world and of course the SEO benefits that such a tool can provide to the business world. “For many business owners and small businesses, Google results are the only way to be found by customers/prospects, to make new leads and make big money………. But the most important thing I think will make a difference, is that the Plus (different from the ‘Like’), will be connected to the search results in Google”. Browse through various discussions in small business forums and on LinkedIn and you can witness overexcitement about Google+ and a hurry-up-and-make-a profile mentality all over the Internet. Most will say that we cannot be negative and write off this brand new social network, especially when it is part of the big Google machine, but I beg to differ. 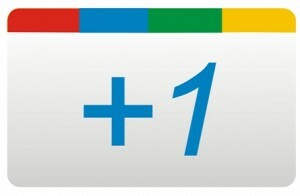 Google’s market share is strong, but is Google+ even better than Facebook? Fondalo, founder and CEO of Bundlepost published one of the most solid opinions I have read about why Google+ will not prevail over Facebook and he also discussed market share. I agree completely with his analysis – the perceived “best” does not always conquer the marketplace (Blue Ray versus DVD is an example as Blue Ray provides much better viewing experiences than DVDs and still never made it), but what I want to add is that in Google+’s case it is questionable as to whether it is “better” than Facebook. Google+ should have never been launched in the first place – not before it was completed anyway if they wanted to stand a chance competing with Facebook. The difference with Google+ is that it is not a product; it is a “place” where people socialise. And if the initial experience is bad or incomplete people will lose interest. Imagine you go to a club and leave the place with a bad experience – you would not go back too easily no matter how many cheap tickets you are offered or how many discounts they lay on the table. You would just stick to the clubs you like or carry on exploring new ones – the world is a huge market. Google relied too much on the fact that it is “Google” when it launched Google+, and majorly failed because people did not find it good enough or interesting. Even the Executive Chairman and former CEO of Google, Eric Schmidt, only posted his first Google+ profile, when Steve Jobs died around three months after Google+ went live – not exactly great publicity for your product! Ok but what about SEO? Ok let us take it for granted that “Google results are the only way to be found by customers/prospects” and being signed up to Google+ will help you to be found more easily and get you higher rankings overall. But found by whom exactly? If prospects are those millions on facebook who do not want to move over to Google+, what is the point in joining a social network where you do not socialise at all, just enhance your SEO campaign? And since when has joining a social network been about SEO? Facebook, Twitter and all other popular social media platforms already help you to be found easily. You think your clients have five different social network accounts and if they do have them will they follow the same company five times? Well, no they will not. There is no point in doing that. If a campaign works with Google+, it will work on any social network. The question is which social network right now are you prospects using? That should be your focal point. Hang on a minute! Social networks DO serve different target audiences right? Of course they do! For example, there is a big difference between Facebook and Linkedin target audiences, but I do not think that Google+ is trying to target a different audience from Facebook, rather get in the social game and snap up some of the market share. They did the same with Google Buzz to get market share from Twitter. They stopped the product a few weeks ago because their market share in comparison to Twitter was non-existent, in other words they failed. There are million of examples of Google products not making it. Remember Google Books? Failed…now they are building Google TV. I imagine it will fail for the same reason Google Books failed and I would not invest much hope in Google Music either, not in its current state at least. I disagree with the statement that Google results are the only way to be found when it comes to small businesses. I believe that networking (and most importantly location-based networking) is the most important source of business for these people. And social media marketing is the best networking tactic you can practise on the internet right now, more powerful than Google or anything else. There are plenty of popular social media networking tools that help you directly connect with your target audience and their circles (friends or personal networks), but most importantly you will be able to identify the “language” used, keywords and terminology used for your product or services by your ideal target audience, topics that concern them in your industry sector, trends and so much more intelligence that with proper use will propel you up the rankings. All of this is invaluable information, will keep you in the pole position and help you start building personal relationships with your audience and design a very accurate marketing strategy by directly connecting with them as well as providing content that will add value to your brand and products. And I believe that if you do your job well and start a buzz around your name on Facebook groups and status updates, not only will people who are interested in your products find you, but you will also be able to reach those who do not care about your products but see your name liked or referred to on a friend’s wall. And that is the power of social media marketing! To conclude (I am very passionate about this subject – apologies if my long answer makes you feel tired) businesses should be where their prospects are. So the proper question is where are these people? Where do your customers hang out? It does not matter where YOU will be for the sake of your SEO, rather where THEY will be to network and connect. I highly doubt Google+ will give you any sort of advantage against a competitor who is socially engaged with your audience in depth. If Google wants people to leave Facebook and go to Google+ they will need a lot more than what they are currently offering. Google+ do nothing new or innovative in comparison to Facebook (at the moment) so I can not see how millions will leave Facebook for Google+ and convince their 150 friends (average friend number per page on facebook) to follow them there so they can do exactly what they are already doing on Facebook. In order to win in the social media world you need something innovative, not another copy cat.